Ebola spread concentrated in Congo, not a wider emergency: WHO - SABC News - Breaking news, special reports, world, business, sport coverage of all South African current events. Africa's news leader. 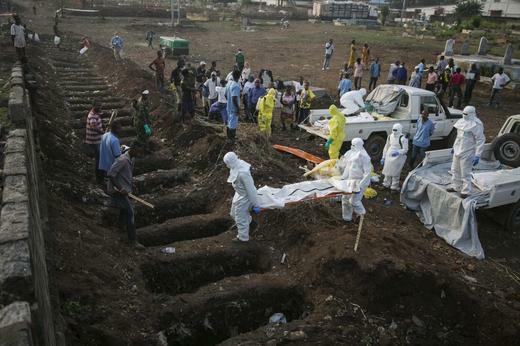 Ebola has already infected at least 1 206 people, of whom 764 have died - giving a death rate of 63%. An outbreak of Ebola in the Democratic Republic of Congo (DRC) that has killed more than 700 people and is continuing to spread does not constitute an international emergency, said the World Health Organization(WHO). Declaring the epidemic a “public health emergency of international concern” would have signaled that greater resources and international coordination are needed. The WHO’s independent Emergency Committee, which analysed the latest data, said the disease was entrenched in several epicentres in the northeast and was being transmitted in health care settings. It had not spread across borders to Uganda, Rwanda or South Sudan, but neighbouring countries should shore up their preparedness, the experts said. Dozens of new cases reported this week have been mainly in the epicentres of Butembe, Katwe and Vuhovi, said Mike Ryan, head of the WHO’s health emergencies programme. The Ebola outbreak – by far the biggest Congo has seen and the world’s second largest in history was declared by national authorities in August. It is concentrated in Congo’s North Kivu and Ituri provinces. It has already infected at least 1 206 people, of whom 764 have died – giving a death rate of 63%. This entry was posted on 14 Apr 2019,09:33AM at 9:33 AM and is filed under Sci-tech, Homepage Latest Stories Slider. You can follow any responses to this entry through the RSS 2.0 feed. Both comments and pings are currently closed.